Documents and Datasheets | MH&W International Corp.
Over the past 40 years, ferrite materials have evolved to meet the challenges put forth by designers in the power supply and power distribution industry. TDK’s ferrite technology continues to improve and keep pace with these demands with new high performance/high efficiency materials. PC47 power ferrite material exhibits the lowest core losses of any ferrite material made when tested at 100KHz, 100°C and 200mT. Now, TDK introduces the PC47 as the next generation material to replace PC40 and PC44. PC47 offers a solution to designers looking to reduce power consumption and create more space-saving designs. PC40 and PC44 will continue to be supported by TDK. As PC47 becomes the dominant material in production the usage of PC40 and PC44 is expected to decrease significantly. Eventually PC40 and PC44 will be discontinued however no time frame for a phase out of the material has been established. 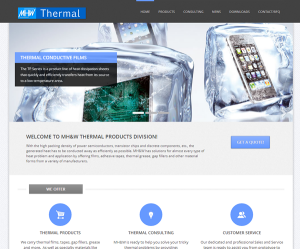 TDK Block Material and Cores – TDK offers Block material in PC40 and PC95 material. Other materials such as PC47 and PC90 are available upon request through MH&W. The series of cores in the 5K and 10K permeability materials for use in Common mode chokes, broadband filters, feedback transformers, current sense transformers and impedance matching transformers. KH Series Powder Cores New! KS Series Powder Cores New! HS Series Powder Cores New! 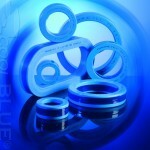 see our CoolBLUE Inductive Absorbers website.